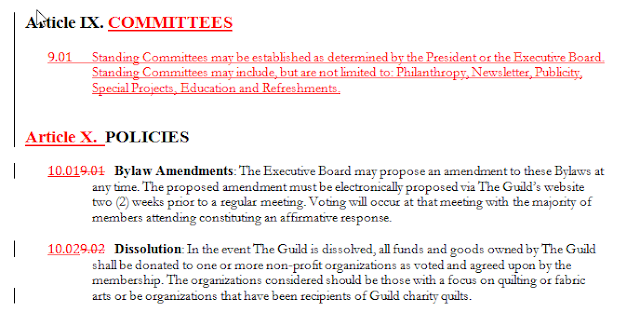 At our next meeting on February 11, 2017, we would like to have a vote on the following GMQG By-Law Amendment proposal. 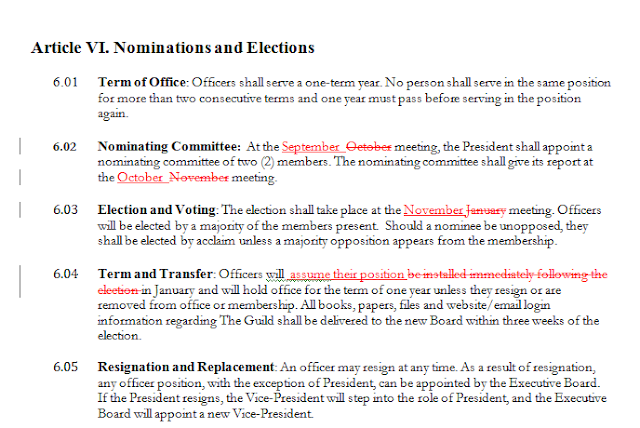 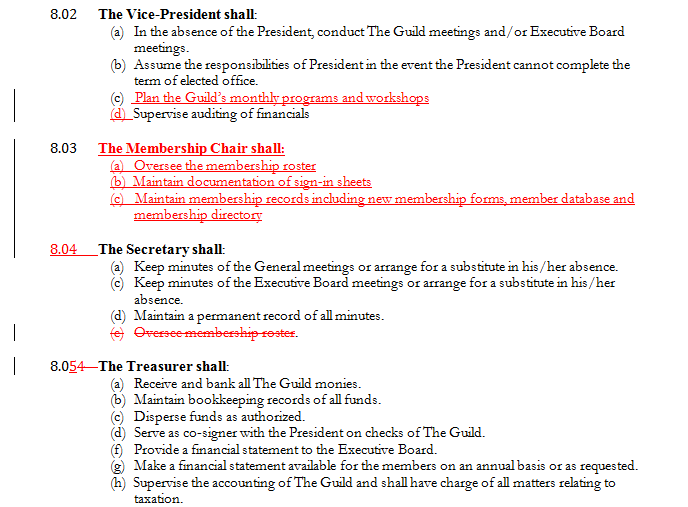 The copy in "red" are modifications and/or new content insertion into the By-Laws. As GMQG continues to grow and expand, there are additional valued roles needed for our organization. 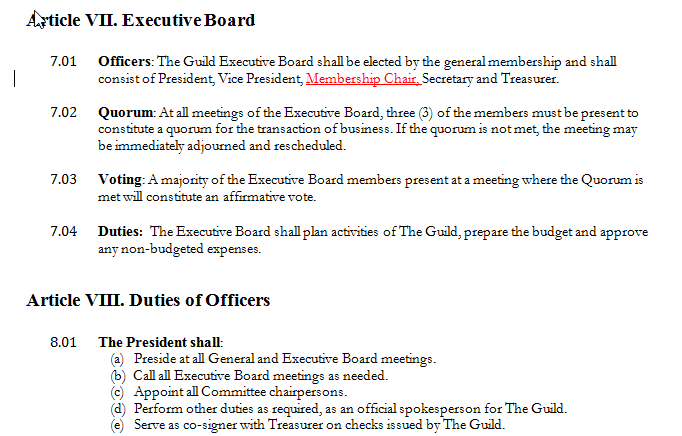 We appreciate you taking a moment to review and of course, if you have any questions please feel free to contact one of the Board members listed below.